In order to benefit from the services offered by the campsite, it is imperative to read and accept these terms and conditions. Any booking of stay within the campsite implies the unconditional acceptance of these conditions, at the moment the order is placed. These General Conditions apply, without restriction or reservation to all rentals of mobile homes, cottages or pitches (“Accommodation”) concluded between La Régie “The Municipal Camps CAPBRETON” (“Camping”) ) and consumers or non-professionals (“Customers or Customer”) wishing to stay at the Camping. Reservations are open for Camping La Civelle on the website: https://www.campinglacivelle.fr/ or by phone: 05 58 72 15 11, and for the Camping du Bouret by phone 05 58 72 15 11. These general conditions specify in particular the conditions of rental, ordering, payment, and stay ordered by the Customers. The main characteristics of the accommodation offered for rent are presented on the website: https://www.campinglacivelle.fr/. The photographs and graphics presented are not contractual and can not engage the responsibility of the Camping. The Customer is required to refer to the description of each accommodation to know the properties and essential features. Rental offers are within the limits of available accommodation. The Customer declares to have read these General Conditions and to have accepted them before his reservation: either by initialing them when sending his contract following an order by phone, or by ticking the box provided for this purpose before the implementation implementation of the online booking procedure. Validation of the booking by the Customer implies acceptance without restriction or reservation of these Terms and Conditions. It is expressly agreed that the Customer has no right of withdrawal pursuant to Article L. 222-10 of the Consumer Code. On the internet, it is up to the Customer to select the Accommodation they want, the desired rental period and the conditions of the rental. It is the Customer’s responsibility to verify the accuracy of his order, his price and correct any errors before confirming his acceptance. Any order placed on the aforementioned website constitutes the formation of a contract concluded at a distance between the campsite and the customer. – Camping agreement: Upon receipt of your booking accompanied by a deposit of 25%, a confirmation of stay will be sent by the booking service by mail or email. In case of no approval, the deposit paid will be returned. – the receipt of the duly completed and signed booking contract or a confirmation e-mail when booking online. The booking commits the campsite only when it has accepted, in particular according to the availability and more generally of all circumstances likely to affect the execution of the reservation made. Camping reserves the right to refuse any reservation that would be contrary to the rules of the campsite or that would seek to divert it from its original purpose. The booking accepted by the campsite is personal and can not be passed on to a third party without the prior agreement of the campsite. Accommodation is rented at the rates in effect on the back, valid for the year 2019. They are expressed in euros, including VAT. Campsite: The basic package includes the location for the tent, caravan or camper, for 1 or 2 people, access to sanitary facilities and reception facilities. Rental of an accommodation: the rental accommodation is equipped (according to the description of the chosen accommodation) and the supply of gas and electricity is included. The basic package is valid for 1 to 8 people depending on the type of accommodation. Camping reserves the right to refuse access to groups with a number of participants greater than the capacity of the rented accommodation. Anyone occupying the dwelling or residing on the same site, in addition to the capacity of reception, will be subject to a supplement. In addition, additional costs will be charged for additional vehicles, animals, visitors and their vehicle … In case of misrepresentation of the policyholder, this contract will be terminated automatically and the amounts paid will remain acquired by the lessor. All payments must be made at the order of “TRESOR PUBLIC”. Payment in cash is only possible for amounts less than 300 €. For any payment by check over € 1,500, a bank check will be required. Reservations made at least 30 days before the start of the stay must be accompanied by the payment of a deposit of 25% of the price to be taken into account. Location: The balance of the stay is to be paid by the Customer upon arrival, in cash, credit card, check, ANCV holiday vouchers (in full with the top heel). Rentals: The balance of the stay must be paid without a reminder from us 30 days before the arrival date. In case of non-payment of the balance on the agreed date, the campsite reserves the right to cancel the reservation. At the end of a period of 8 days following the request for payment of the balance by the campsite, the booking will be considered canceled and the deposit paid by the customer will be retained by the campsite as compensation. This municipal tax is mandatory and is collected with the balance of the price, at the rate in effect during the collection period (see fee schedule). 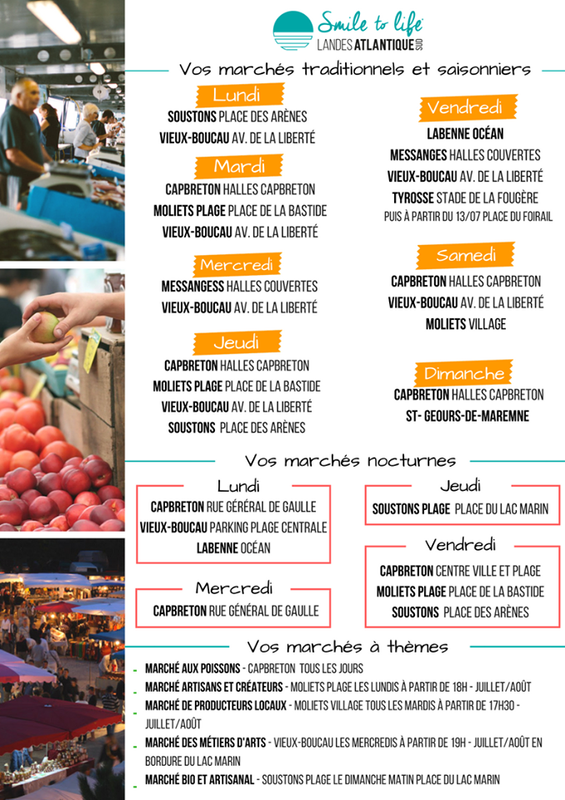 The TTC prices offered by the campsite do not include the tourist tax whose amount is determined each year by the community of CAPBRETON and the department of Landes. On arrival, the campsite gives the customer an inventory sheet to fill in and hand over to the reception for rentals of mobile homes and chalets. Initially, after emptying the rental and cleaning, an inventory will be made with the staff of the campsite. The deposits will be returned to the Customer if no damage or loss has occurred and if the mobile residence or cottage is returned in perfect cleanliness. A booking fee of € 14 is applied for any booking of pitch or rental in high season. The day of the beginning of the stay, the pitch is available from 2 pm and the mobile residence and / or the chalet from 3 pm. The Client must go to the reception, where he will be given the necessary information to settle on his site or to take possession of the residence. The day of departure indicated in the contract, the place must be released between 10h and 12h. For any departure beyond, an additional day will be billed to the Customer. on the site. If the mobile residence, cottage or location has not been cleaned, the cleaning deposit may be retained by the campsite. Animals (Dogs and cats) are allowed only in camping pitches, provided: to be kept on a leash inside the park including the rented campsite, to be walked outside the campsite for its needs, that his droppings are collected and that his behavior does not interfere with tranquility. Animals are subject to a supplement (see prices in force) per day and per animal. Dogs of 1st and 2nd category are not allowed. Animals must be kept on a leash in the field. Their vaccination certificate must be presented upon arrival at the campsite. Rabies vaccine is mandatory. A reservation may be modified by the Customer, subject to the prior agreement of the Camping and the availability of the Accommodation for the requested period. Except in case of force majeure, the cancellation of the booking by the campsite will result in the full refund of the Customer (rental, fees and tourist taxes). In the event of cancellation of the booking by the Customer after the acceptance of the Campsite, at the latest 30 days before the date of arrival, the deposit, the expenses of files and the costs of insurance cancellation will be preserved by the Camping . If the cancellation occurs less than 30 days before the date of arrival or in case of no show on the campsite, the total amount of the stay will be kept by the campsite. Cancellations must be made in writing with acknowledgment of receipt to the campsite management. Refunds can only be made to Customers who have taken out the cancellation insurance when they are booked. (see article 10-5.). In case of late arrival, the reservation will be retained for a period of 24 hours. After this time and in the absence of mail from the client, the reservation will be canceled. No refund or compensation will be granted in case of late arrival or early departure. The cancellation insurance is optional, the Customer has the choice to subscribe or not at the time of booking. In the event of cancellation or interruption of the stay, our partner Gritchen Affinity agrees to refund all or part of the stay to our holidaymakers, excluding handling fees and insurance. In case of cancellation, notify the campsite of your withdrawal upon the occurrence of an event preventing your departure by mail or email. If the claim is provided for in the general conditions (available on www.campez-couvert.com or www.campinglacivelle.fr), notify the insurer within 48 hours and provide all necessary information with supporting documents. The price of the cancellation and interruption insurance is equal to 3.5% of the booking amount, excluding handling fees and tourist taxes. This insurance premium must be paid in full at the time of booking and is not refundable. During their stay, campers benefit from the operator’s third-party liability cover for any personal injury or property damage for which they have been held responsible. This civil liability does not cover the theft or damage to tents, caravans and their contents. On arrival on the campsite, it is the responsibility of campers / caravans to present a valid insurance for their caravan, their tent and / or their equipment, guaranteeing them in particular with regard to civil liability. These general conditions are subject to articles 1709 and following of the Civil Code. As a result, the campsite undertakes to deliver the rented accommodation to the customer on the conditions stipulated in the contract. It guarantees him a peaceful enjoyment of the Accommodation during the rental period. By confirming his reservation, the Customer acknowledges having read the rules of the campsite and all the contractual documents to which he is subject as part of his rental. He accepts the terms of this regulation and recognizes its contractual nature. He undertakes, for himself and his successors, to respect the terms of the regulation. In the event of a serious or repeated infraction to these rules, the campsite may terminate the rental without compensation, as indicated in the internal regulations. In the event of a criminal offense, the campsite may appeal to the police and / or interrupt the Customer’s stay without compensation. In particular, persons violating the contractual stipulations with regard to night-time noise, the declaration of false information during registration or, in general, any person who behaves disrespectfully in the campsite. Camping reminds that minors are under the responsibility of adults who accompany them and decline all responsibilities in case of theft. In case of non-compliance by either party with the obligations referred to herein or those contained in the internal regulations, the lease may be resolved at the option of the aggrieved party, for it to report the proof of breach. Camping is prohibited from transmitting to a third party the information communicated by the Customer on the occasion of his order. They are confidential and will be used by the only internal services of the Camping for the purpose of processing the Customer’s order and customizing the communication and the offer of services reserved for Camping clients. In accordance with the Data Protection Act of 6 January 1978, the Customer has a right of access, rectification and opposition to his personal data. For that, it is enough for him to make the request to the Camping in writing by indicating his name, first name and address. The content of the website “https://www.campinglacivelle.fr/” is the property of Camping and its partners and is protected by French and international laws relating to intellectual property. Any total or partial reproduction of this content is strictly prohibited and may constitute a forgery offense. In addition, Camping retains ownership of all intellectual property rights in the photographs, presentations, studies, drawings, models, prototypes, etc., made (even at the request of the Customer) for the provision of Services to the Customer. The Customer therefore prohibits any reproduction or exploitation of such studies, drawings, models and prototypes, etc., without the express written permission of the Seller, which may condition it to a financial counterparty. By confirming his reservation, the Customer acknowledges having received the necessary information, in accordance with Articles L. 111-1 and following of the Consumer Code, and renounces in particular to avail himself of any contradictory document, which would be ineligible for the Campsite. It is specified that the present general conditions and the resulting operations are governed by French law. In case of difficulty arising for the interpretation, validity and execution of these terms and conditions and any related operations, and only after entering the customer service of the campsite, the Customer has the option to seize a mediator of consumption within a maximum of one year from the date of the written complaint that the Customer has sent to the campsite, by registered letter with acknowledgment of receipt.